Are you faced with the dilemma of choosing between a wrought iron or aluminum gate? Well, don’t be! It goes without question that aluminum is a far better choice over wrought iron any day. The many features of aluminum gates provide a justified backup to such a statement with aluminum possessing qualities that wrought iron would never be able to provide. A major deciding factor in choosing between a wrought iron or aluminum gate is a good gate manufacturer who can provide you a superior quality gate with the all of the versatility and durability of aluminum. Northwest Aluminum is one such company to consider when purchasing an aluminum gate. We are backed by years of experience and goodwill that ensures every customer acquires our branded hallmark of quality. We provide a variety of excellent aluminum gates for driveways, walkways, courtyard, farms, and ranches all possessing the advantageous features of aluminum such as longevity, durability and security. When it comes to a contest between a wrought iron or aluminum gate, aluminum, of course, wins hands down because of its affordability and zero maintenance. 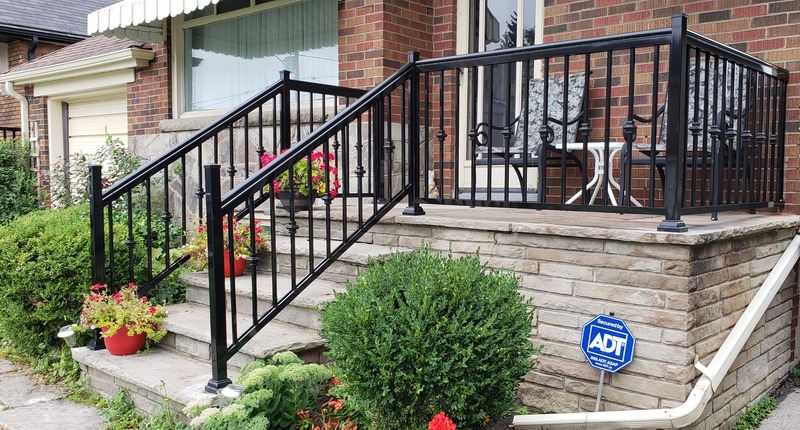 Here are the brief features that makes aluminum a viable and practical choice over wrought iron. Wrought iron is subject to weather corrosion and rust. This makes it a highly expensive type of gate that requires frequent repairs, cleaning, and repainting. Aluminum, on the other hand, is weather resistant, rust free and anti-corrosive. The reason for it being so is the superior powder coating that is applied on aluminum gates which protect and shield it from all weather damage. An aluminum gate will not require any further painting or repairs. All it would need is the occasional cleaning. While wrought iron gates can get corroded beyond repair, aluminum is highly durable and will not warp, contract or expand. Aluminum gates last for decades. Wrought iron gates are heavy and a DIY isn’t an option but when it comes to aluminum, you can even install the gate yourself. Aluminum is lightweight and easy to handle making it a family oriented gate. Moreover, it will not need additional machinery when installing. The versatility of aluminum makes it a great product for customization. NW Aluminum provides customers with several styles of gates in a variety of colors. You can also customize your gate according to your specifications and the style of your home. In fact, aluminum gates can be made to look like wood or wrought iron which is a huge plus point there. It isn’t hard to make a choice between a wrought iron or aluminum gate because of the most important factor of affordability. Wrought iron is expensive, so is steel and wood while Aluminum is a much cheaper option. Moreover, with an aluminum driveway gate or a courtyard gate, you won’t be incurring the additional expense of maintenance. This means investing in an aluminum gate saves you money in the future too. Aluminum gates are an ideal option for residential properties and Northwest Aluminum can help you make the best choice where our products are the best emblems of our superior quality.